How Can You Create the Highest-Performing Content For SEO? What’s the best content to create for your business’s website that will rank and perform the best for your SEO? The correct answer is “something else,” and it is called the comprehensive content guide. When you make phenomenal content that is superior to anything else out there on the web, you’ll be well-positioned to start getting that elusive organic search traffic that you’ve been hoping for. Before we elaborate on the comprehensive content guide, we need to first address a very common and frustrating mistake that most businesses are making for their SEO. We’re talking about blog posts. Now, we’re not “anti-blog posts” or anything like that. We just want you to see a much more powerful and focused opportunity for when you’re investing into your website’s content. Our intention is always to get you the highest SEO ROI for your content creation efforts, so we want you to maximize your resources. Let’s quickly go through each point more closely and then we can show you why a comprehensive content guide is far superior to blog posts. Blog posts are generally much shorter than a comprehensive piece of content. Why does this matter? The data has proven, many times over, that higher word counts are directly correlated to higher rankings. But it’s not length alone that’s so important. Quality is essential, so you don’t want to write lots of low-quality fluff just to have more words. It has to be high-quality. You can see the same findings from serpIQ, Neil Patel, Search Engine Land, John Doherty, and more. Since blog posts are dated, they quickly look outdated — both to humans and to search engines. When you find a blog post that was written 2 years ago, how do you feel about it today? Does it seem any less valuable or relevant? Or would you rather be reading something that didn’t feel like it was written 2 years ago? Blog posts aren’t very keyword-focused. This doesn’t mean that they can’t be or that you can’t optimize every one of your blog posts for keywords. But they generally don’t target more than a few keywords per blog post, and that is a wasted opportunity. Your blog posts can compete with your own other blog posts, since you’re likely to keep writing about the same several topics and themes. This means that you can be cannibalizing your own ranking for keywords with the same blog posts. This is definitely not good. Blog posts can dilute your internal backlinking efforts. For example, if you have 50 blog posts on your website, and we want to use your own internal backlinks to help rank your most important pages, would you rather dilute those internal linking efforts across 50 blog posts? Or would you rather focus on your top 10 most important content guides? Blog posts can also dilute your efforts to acquire backlinks from other websites back to your content pages. If you have 100 backlinks coming back to your website, would you rather have those 100 backlinks distributed evenly across 50 of your blog posts, or would you rather have those same 100 backlinks focused on your 10 most important and optimized pages that you want to rank? Which do you think would help you rank higher? Blog points have to constantly be written. You want to seriously consider evergreen content. Especially when the blog post you wrote 2 years ago is just as relevant today, but it looks old because of the date on it. You want to create content that keeps driving traffic year after year to get the best ROI on your content creation efforts. Constantly writing new blog posts can quickly become really demanding and hard for you and your team to keep up with. If you’ve done even one blog post per week while trying to get your business to the next level, you can understand this. It’s hard to find time to keep writing weekly blog posts and the ROI just isn’t worth it. There’s an enormous myth that has been perpetuated for years — in part by Google themselves — that you need to be constantly creating fresh content for your SEO. Nothing could be further from the truth. Although the freshness of your content does affect its ability to rank higher and is a ranking factor, its weighting in Google’s algorithm and impact on ranking your page is minimal. It largely doesn’t matter. Blog posts typically have lower “time on page” metrics, which is an increasingly more important user-engagement ranking factor in Google’s algorithm. With Google’s ownership and access to data from Chrome and Android, they can track and use user-engagement metrics to infer how valuable and high-quality a page is for users. Additionally, the less time a user spends on your page by looking at it, skimming it, reading it, and learning about your content, the less likely they are to remember you or allow you to build a relationship with them through the authority of your content and brand awareness. They’re also less likely to become your paying customer. Blog posts are less authoritative. Which title below sounds more authoritative to you, or has more potential to garner backlinks as an authoritative and timeless resource? Everyone else is doing blog posts. How will you ever cut through the noise if you’re competing on the same playing field? If you don’t stand out, you won’t reach your target market. We can see from WordPress that they publish around 80 million blog posts every single month. Do you really want to compete with that? The comprehensive content guide is evergreen. It should be created on a static page, unlike a blog post, and not have a date on it. It should be in-depth and long. That’s going to be somewhere between 3,000 and 12,000 words. Perhaps that sounds excessive, but you’re not going to compete with a 1,000-word-blog-post with another 1,000-word-blog-post. If you’re worried about overwhelming users with too much content, you can create a nice table of contents at the top with hyperlinks to different sections. This is just like Wikipedia does, so readers can quickly jump to the sections they care most about. If you’re still afraid of creating too much content, think of what you do when you encounter a large piece of content. You don’t read the whole thing. You skim. You scan. You read headers, skim some more, and read the parts that you’re the most interested in. Your comprehensive content guide should be very well-written, high-quality, useful, answer the most common questions, authoritative, actionable, unique, and engaging. Overall, it should be phenomenal. Use a lovely design. Consider graphic design and feel, user experience, and incorporating other content forms, such as video. It should be far superior to anything else out there. When we make content like this, (in addition to a few other factors,) we achieve superior ranking results. Don’t forget that Google can examine your content and tell what it’s about and how well it is written. 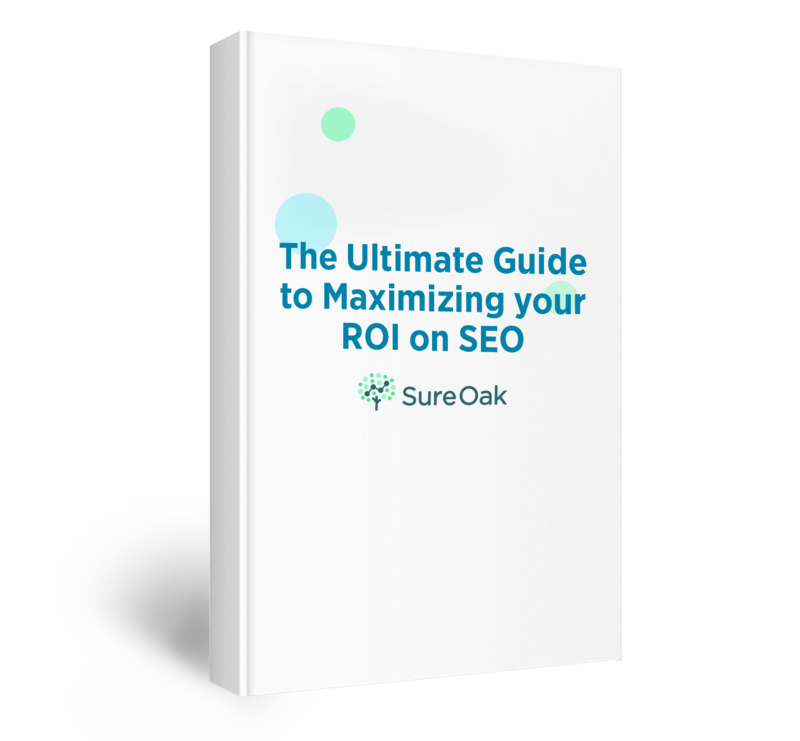 The comprehensive content guide is well known among SEOs and content marketers, just in different forms. Make phenomenal content, and you’ll be well-positioned to outperform the other low-quality content out there. For this campaign we produced a total of over 70,000 words of content — which is almost an entire book — that is optimized, helpful, unique, and useful for readers. When you go to The Learning Center at Life Coach Spotter, you find the in-depth resources that are our comprehensive content guides. When you click on one, you can find the guide with the contents at the top to jump to any one section, as well as custom-designed graphics and calls-to-action for this business’s service. You don’t want to focus too much on sales here, because we’re primarily serving the user’s needs. Most or all of these guides in the example above are ranking on page 1 for their intended keywords. These keywords are very competitive, but they still achieve a high ranking. When you combine the power of a content creation strategy like this with a well-executed link-building campaign and properly optimized pages, you’ll see a substantial impact on your rankings and traffic. When you create phenomenal content and execute everything else right, such as keyword research, on-page optimization, link-earning, and more, you’re going to rank well and drive highly qualified traffic to your business’s site every single month.